Are you connected on a Heart and Soul level with Soul Family in ways that you feel truly support your Soul Purpose? Or do you still yearn for that? Have you gravitated towards, and drawn into your life, people who are in the same frequency as you are, with whom you can have deeply inspiring interactions? Has this helped you overcome feelings of isolation, bringing encouragement and hope? 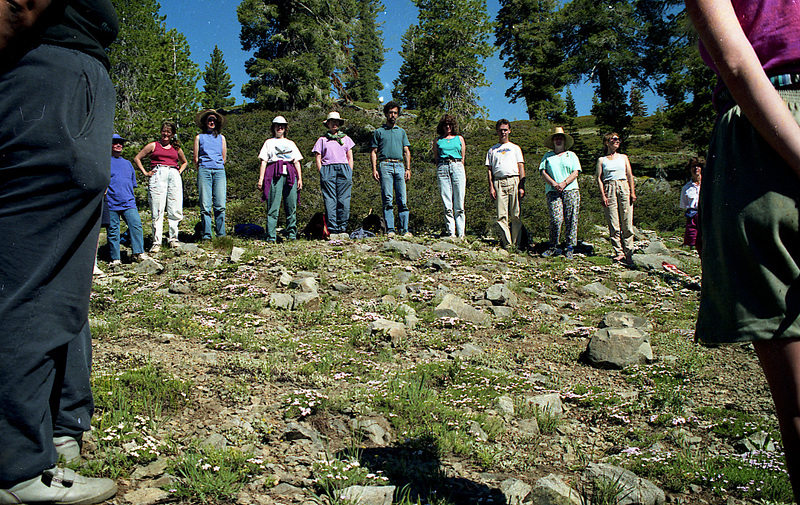 When I first studied the Spreading Phlox plant growing wild on the high Sierra Nevada, I noticed that it grows in groups, like constellations of related stars. The flowers bloom near each other, light magenta to white in color. 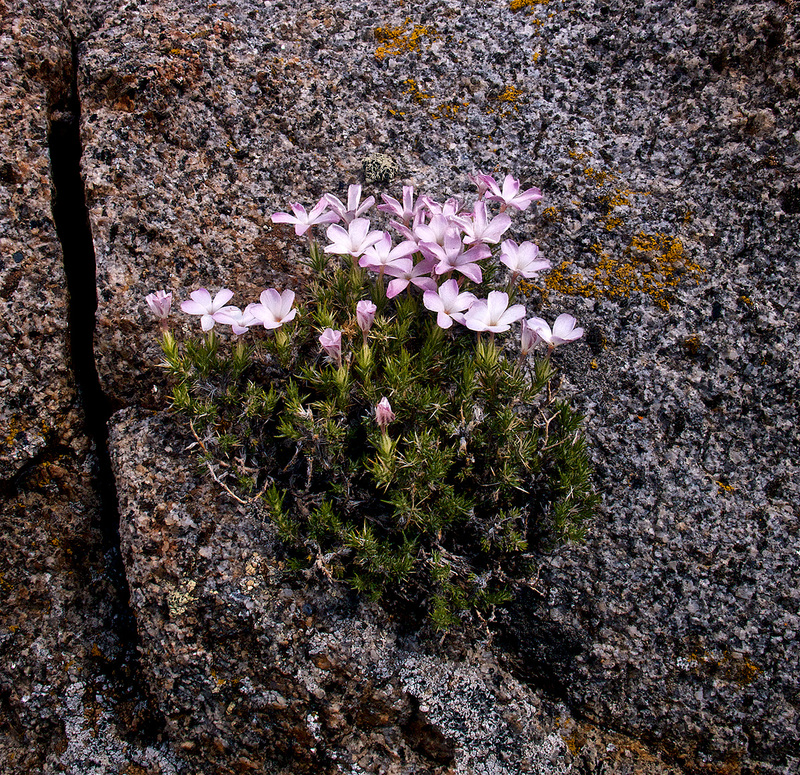 And while they look up to the sky, they are well rooted on the Earth, anchoring themselves into tight rock crevices. At the peak of their flowering season you see many groups of these small flowers like many separate, and yet co-related, constellations of little flowers spreading over a significant area. As part of my very first Plant Study and observation for my Flower Essence Practitioner Certification, I observed the plant in all its details and made sketches. And I also inquired about it’s possible qualities as a flower essence. 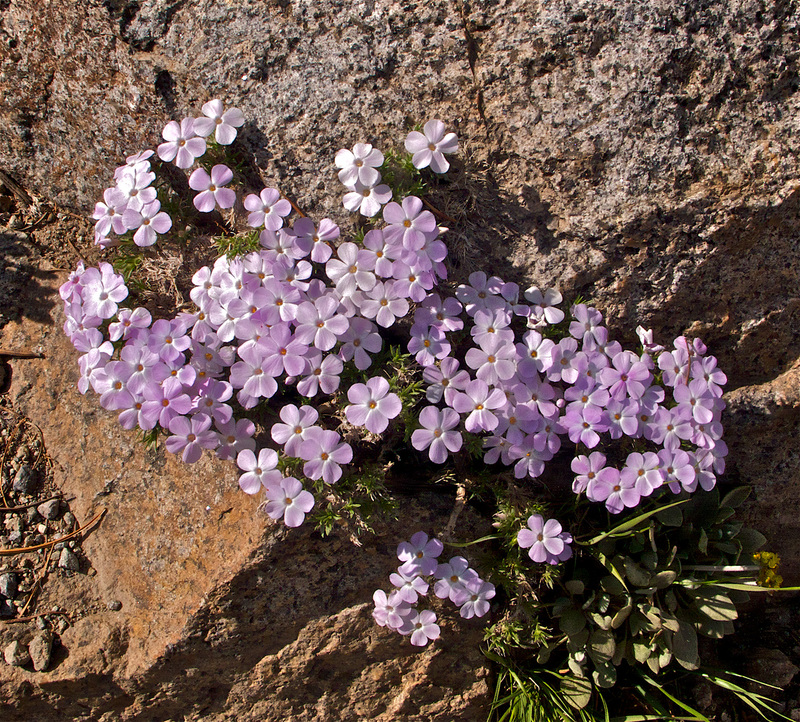 Between my own and the attunement of others, initial impressions at the time in July 1991 were that Spreading Phlox as a flower essence would help individuals yearning to connect with Soul family and Community. One of the ways it does that is by helping them find other Souls that are on a similar mission. It would also nurture a sense of connectedness and support from our real Soul Family (that may be different from our birth family), especially in difficult times when one may feel isolated. It helps us feel part of a community united in purpose, always connected with others who may have been born in different places on the planet, as well as with those who stayed in the Spiritual Plane. It helps us remember that we are part of a greater Soul Group that is united by invisible lines of light. The Spreading Phlox flower essence was first prepared at this time, in 1991, in the presence of a group of individuals from many continents, all devoted to Flower Essence Therapy, who met each other for the first time during this Practitioner Training. Many of the participants in that historical group went on to play significant roles in their many countries, becoming prominent figures that helped develop Flower Essence Therapy in their communities, as well as the research of new flower essence lines. 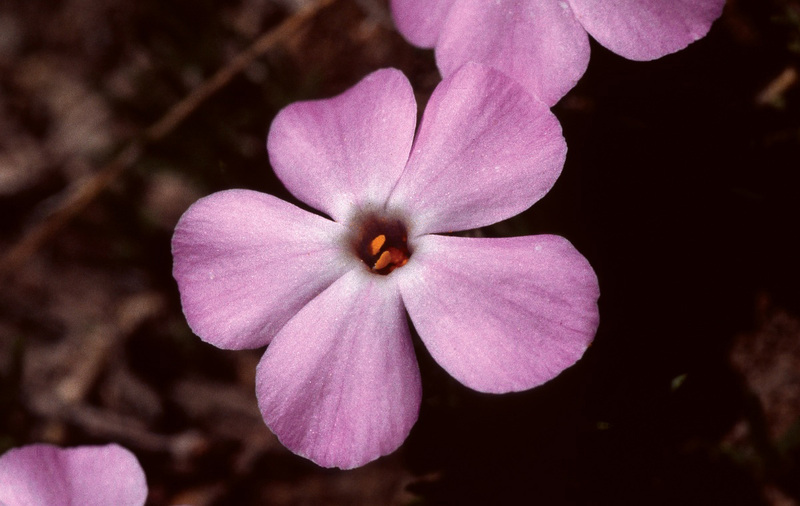 Since then, I have used the Spreading Phlox flower essence in my practice, and other practitioners also have, and it has offered significant help for those who yearn to find the right connections that support their soul path. The Spreading Phlox Flower Essence is prepared by FES and found at the fesflowers.com store.